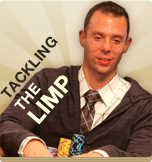 Matt Berkey has been a successful poker player since 2003. He began beating $1-$2 NL and $2-$5 NL games while earning his BA in Computer Science from Gannon University. 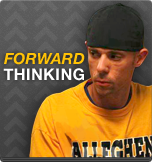 In 2005 Berkey began his professional career, playing full-time at the $5-$10 NL level. Today he can be found playing as high as $50-$100 NL. In addition to his impressive track record as a live pro cash player, Berkey amassed nearly $1 million in online tournament cashes under the name "Berkey11", including chopping the Full Tilt Sunday Major for $102,000 and taking third in the $150 rebuy FTOPS event for $90,415. In 2010 Berkey shifted his focus to live tournaments and his career took off. A second place finish in the Venetian DeepStack Extravaganza for over $30,000 was the springboard to a big summer. His scores included three World Series of Poker cashes, the largest being a 43rd place finish in the Main Event for $206,000. 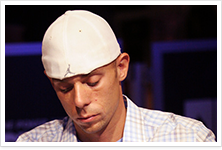 Berkey's momentum continued in 2011 with three deep runs in World Poker Tour events, including a fifteenth place finish in the L.A. Poker Classic Main Event for $56,880. Later that year he made his first WSOP final table, placing sixth in the $2,500 NLHE for $119,528. Berkey's success is a direct product of being a student of the game. The time spent off the felt studying game theory and analyzing opponents’ play has correlated directly into a profitable career. Learn how to maximize the value of premium hands and minimize the risk of going broke. Optimize your game in different positions, against opponents having various styles and facing a variety of board textures. See how aggression can actually save you from disasters. The Redefining Trouble Hands Hand-Pack includes 26 hands that demonstrate just how much value we gain by expanding our range beyond premium holdings. In this second Hand-Pack of The Playbook series our focus shifts from premium holdings to the broader part of our range, or what we previously thought as trouble hands. This range, consisting of broadway holdings (KQ-KT, QJ, JT, etc. ), Medium pairs (77-JJ), unsuited AT-AQ, as well as suited Ace x, was deemed unplayable due to the tight nature of the weak players in games. However, as game dynamics change and drift further toward the loose aggressive side, so too does our range of profitable hands. 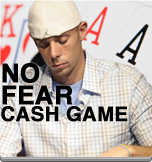 Many players let the fear of the post flop play with a marginal holding prevent them from gaining full value. Ironically because of their apprehension too often they end up playing in a way in which all they can do is win the minimum with the best of it or lose the maximum with the worst of it. A common example being a tight player opens the action for an uncommonly large raise. Upon stealing the blinds he tables, JJ thrilled to avoid a confrontation. The Playbook shines a spotlight on common fears and mistakes made by novice players at all levels. This Hand-Pack includes 5 hands that highlight mistakes often made due to a lack of forward thinking. All players are guilty of falling into cruise control when hand strength and position appear to dictate a standard play. See how sometimes standard plays may place you in awkward spots the expert would avoid. This Hand-Pack, the third installment of The Playbook series, includes 24 hands that challenge the user with difficult post-flop dynamics. See how to proceed in multiway pots, or when an over-card falls while you're holding a strong pocket pair. 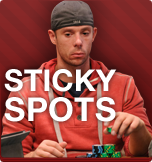 "Sticky Spots" introduces our first in-depth look at post-flop play, with a heavy emphasis on board texture. By examining the specific spots that make us all a little uncomfortable at the table, we will be able to avoid those big mistakes that can cripple a bankroll. This Hand-Pack, the fourth installment of The Playbook series, includes 25 hands that challenge you playing against recreational players who may shy away from aggression and prefer what they wrongly believe is a "safer" passive play. Learn how to exploit chronic limpers and when to open limp, limp behind a previous limper, or attack a limper with a raise. Strengthen your postflop skills in multi-way flops, often occur in this dynamic. See how to adjust your game according to different stack-to-pot ratios against various recreational characters. This is a new format that puts your poker knowledge to the test. The pack contains 12 hands from a no-limit cash game, but the catch is that there are no comments whatsoever. ProCoins are awarded accordingly for good decisions, but the in-depth analysis from our professionals is deliberately left out. This is a great way to test and evaluate your game. 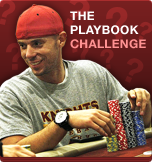 Find out if you have mastered the poker concepts covered in all the previous 'Playbook' hand-packs. Complete 'The Playbook Challenge' with a passing grade (75/108) and receive a 60% discount on a 45-minute coaching lesson from the Playbook author, Matt Berkey. To redeem the discounted rate contact Matt at berkey11@gmail.com with a screenshot of your Challenge score. 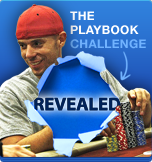 As a follow-up, we also have 'The Playbook Challenge Revealed' hand-pack available, which has the exact same 12 hands, and does include expert comments and analysis from Matt Berkey. Take the challenge, and then see how you compare to the best. This pack is the follow-up to 'The Playbook Challenge' pack. Here, Matt Berkey takes you through the same 12 hands, only this time he provides his usual in-depth analysis for each decision. Find out if your thought process is in line with that of the pros, and get an incredibly useful evaluation of your play. See which parts of your game are strong, and which could use some more work. This pack is most valuable after attempting 'The Playbook Challenge' pack first, but its thorough comments and analysis will obviously be helpful on their own, as well. If you want to move up the ladder from the low-stakes cash game this pack is for you. 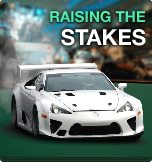 In a 18 hands race track, be in the driver's seat with the pro at your side, facing tougher opponents, larger chip stacks, and bigger decisions. Learn how to employ new tools, such as 3-betting and 4-betting and trapping, to maximize your value. Sharpen your skills of reading table dynamics, perfectly sizing your bets, and avoiding the tough spots that are common facing experienced opponents. 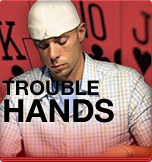 Whether you want to move up to the higher game as a casual player or just learn some strategies for tougher tables, this hand-pack will provide valuable insights into the way one of the world best cash player navigates more complex situations presented as you progress beyond the typical 1/2 no limit hold'em.